This 2-in-1 short is made to perform in any type of workout. 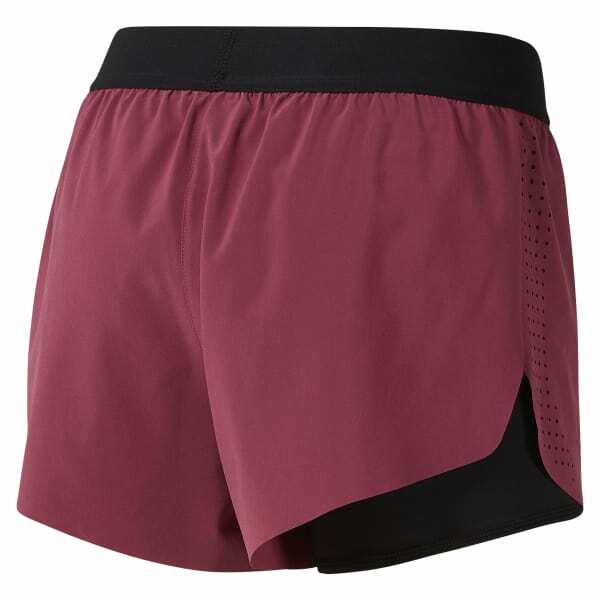 The double-layer short construction features a stretch woven exterior and compression short interior to provide coverage and comfort through tough workouts. Speedwick moisture management technology helps you stay dry and comfortable. Exposed elastic waistband for a perfect fit. Perforated side seam adds breathability.